1-800 Drywall and Roofing2U are Canadian owned and operated businesses. Currently, 1-800 Drywall is servicing every major city located across six provinces within Canada, while Roofing2U services the major cities in Western Canada. March 13, 2009, 1-800 Drywall took its first order where the vision was to obtain a greater market share in the retail landscape servicing the Do-It-Yourself (DIY) customer. Never forgetting the DIY, we now service some of the largest Drywall Contractors, Home Builders and General Contractor in the markets we serve. Roofing2U started operations on June 1, 2017, following the same exceptional service model. Our Customer Support Team in parallel with proprietary technology allows our customers to have a near flawless buying experience from the time they research their needs, throughout the order processing, right to an on time delivery. 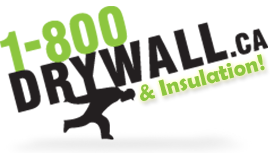 Today, 1-800 Drywall and Roofing2U is one of Canada’s most Trusted Online Drywall, Insulation, and Roofing Suppliers! What you need, where you need it! Mar 14th, 2019: Price was the same as the big box stores but it was all delivered and put into my basement for free which is a $200+ service for other stores. My sales representative was fun to talk to and helped me through my order... I couldn't stop telling people about how awesome the company is. Thank you 1-800 Drywall.